The second disc of Richard Tognetti and the ACO's complete recording of the Mozart Violin Concertos. "This recording of Mozart's violin concertos is played at A=430 on instruments strung with gut strings, and with wind instruments which we hope would be familiar to Mozart both in look and sound. Doing so, we hope to come as close as possible to the sound-world for which Mozart was composing these pieces. Beyond that, though, hopes for performance 'the way the composer intended' are far-fetched. Apart from anything else, Mozart could not have imagined that his violin concertos would be performed by such aliens as Australians (the ACO) and recorded by Swedes (BIS) and beamed to you wherever you may be on a CD through your amplifier! The course of the 27 piano concertos, written across Mozart's life, traces an incredible arc in the evolution of perceptive expression in music and message. The five violin concertos - written, it seems, within just about a year - show a similar remarkable development. Where and why this rapid evolution took place remains a riddle. The first concerto is like a virtuoso Baroque concerto - so many notes! But by the third all is stripped bare and comparitively minimalist. 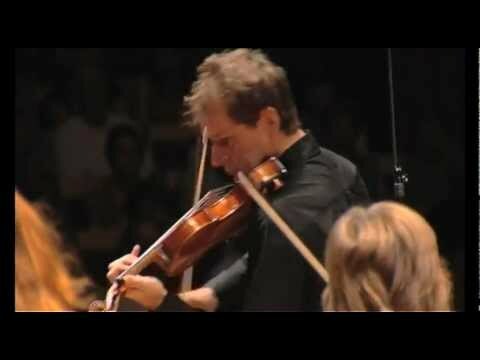 The use of material is strikingly more imaginative and devoid of easy show and flair, and the structure is conversational between soloist and orchestra. Mozart was gradually becoming adept as an opera composer, and it seems fair to argue that this sensibility - both dramatic and dialogic - worked its way into his instrumental writing." 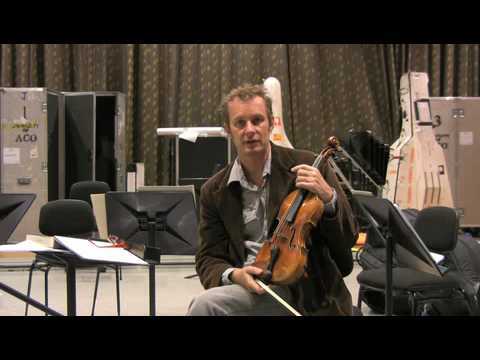 Listen to Richard Tognetti's interview with Gramophone. "There is an almost transcendental quality to some of this performance."